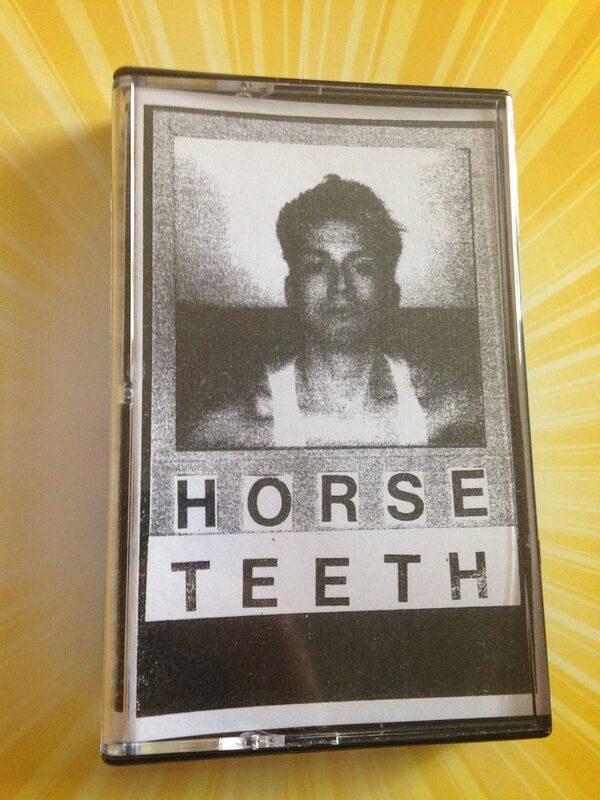 Raised by Gypsies ::: Cassette Review: Horse Teeth "Horseteeth EP"
Cassette Review: Horse Teeth "Horseteeth EP"
Back in the early 2000s it felt like alt-country was becoming a fad. Every label I liked back then was signing bands who had some mix of country in them and what was even more strange was that certain bands were putting out country influenced music when they hadn't before. It was that mindset of "Let's add some country to our new album because that's hot right now!" and it really just got to be overwhelming. Luckily, with everyone making music in 2016, it doesn't feel like there are music fads any more because while genres can still rise and fall in popularity they primarily always have their fans known thanks to sites like Bandcamp. 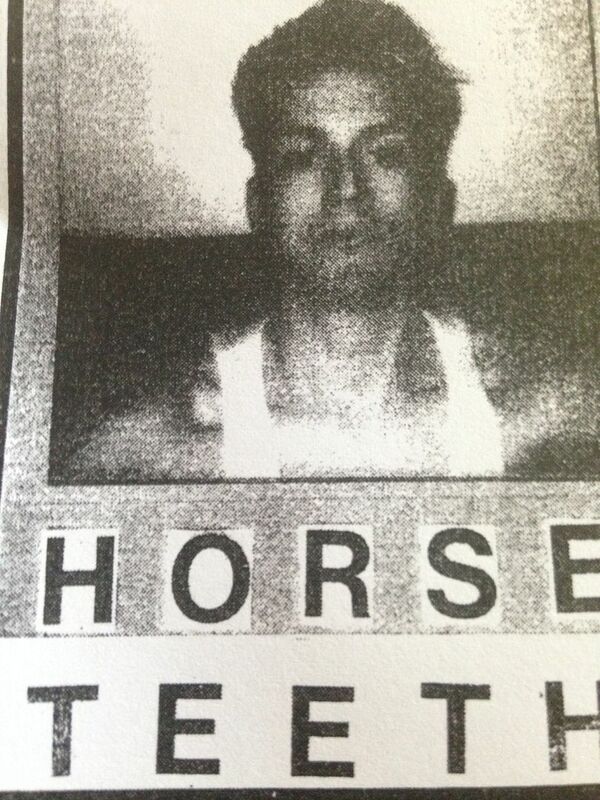 Horse Teeth are a mix of Americana and that average man, hard-working, Bob Dylan type of feel. It's Tom Petty, Half-Acre Gunroom and Two Gallants combined. As much Cracker comes out in this as does most anything else, though the vocals here are different and in a more unique style. It just has that perfect blend of something modern (or at least from the last ten years) and something considered to be classic rock such as "Freebird" or that "We're An American Band" song. Crunching guitar chords are prominent in the first song, but then in the second song pianos take over in that Wallflowers way. 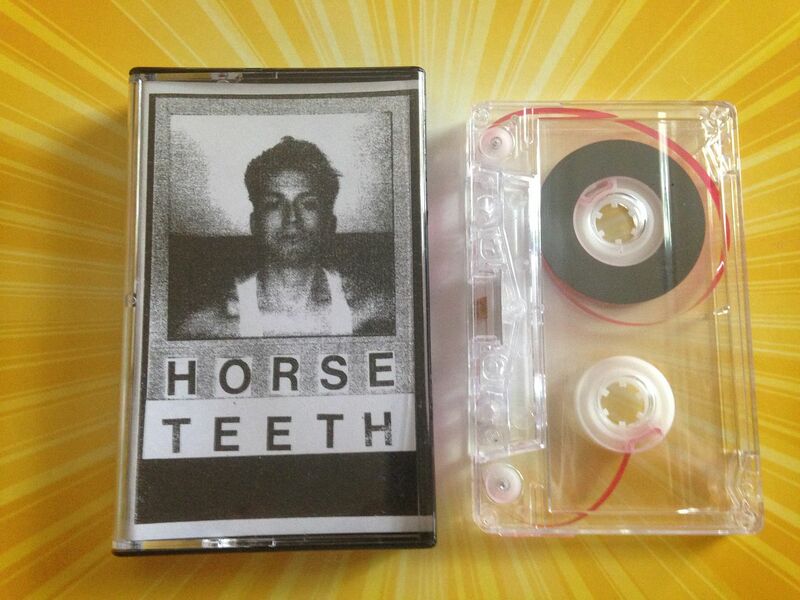 The last three songs of this EP have a moderate pace to them so they're not really ballads or fast rocking songs, but I wouldn't mind hearing Horse Teeth try for either of those. I think they could pull off a two minute fast paced song just as easily as a ten minute ballad and yet what we have falls somewhere in between. 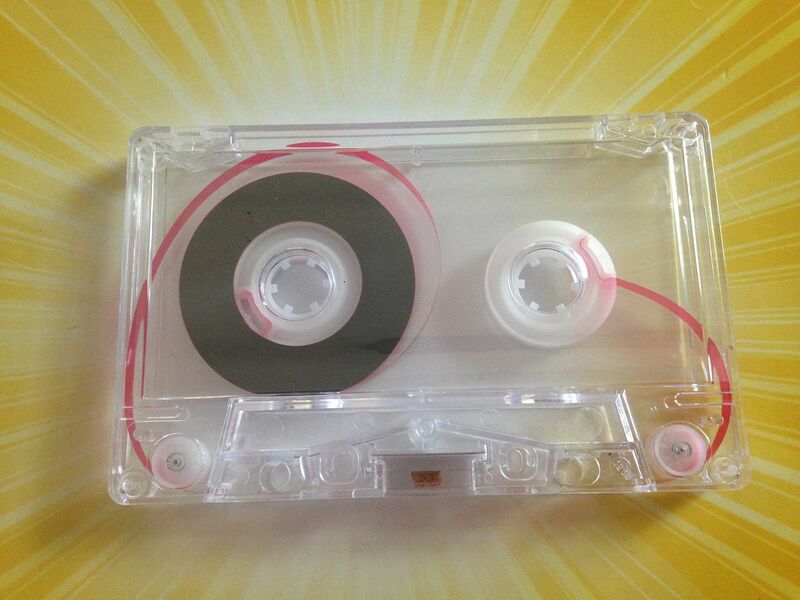 Listening to this cassette has brought back memories in me and I had to go listen to the song "Julia" by Limbeck because of it. That was as far back as I wanted to go though because digging out my Half-Acre Gunroom CD didn't sound like something I had time for while I was in the moment. But I do believe that any time music can bring back good memories- make you think of the past fondly- then it is a good sign. This doesn't even sound like Limbeck really though, so I don't know why I went there. The lyrical structure in these songs also has it where it is somewhat easy to sing along after the first or second listen, but it's not cheapening out and giving you lyrics which are so easy to rhyme it makes you question their writing skills on the whole. In that way, it does remind me of Two Gallants-- lyrically-- and that's never a bad thing either because that's up there among the best song writers I know. 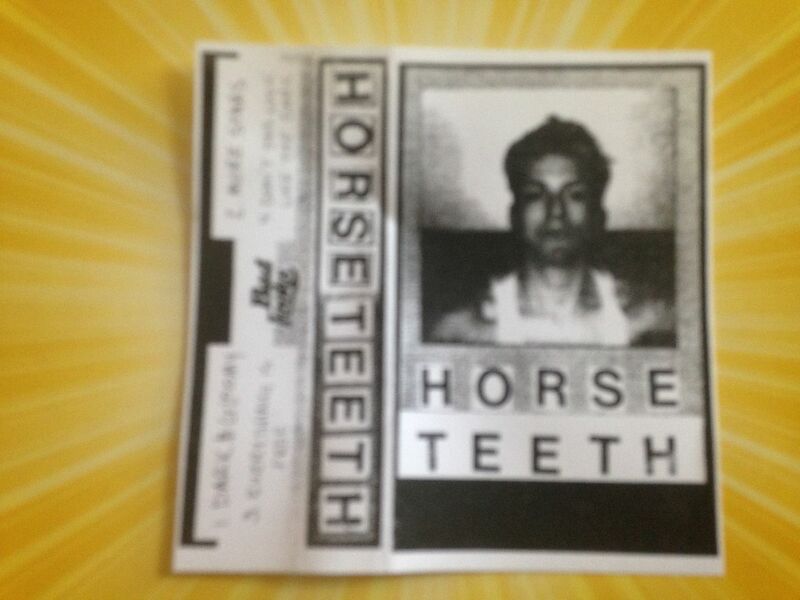 So if you're looking for good old fashioned rock n roll with some modern elements where the songs aren't too easy but you can learn them then I suggest listening to Horse Teeth because it just has that familiar feeling of what good rock music on the radio should sound like. I can't wait to hear more from this band.